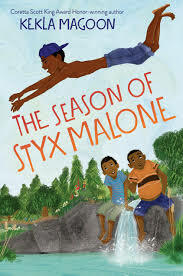 The Season of Styx Malone is the latest middle grade novel from Coretta Scott King Honor recipient and current VCFA faculty member Kekla Magoon ‘05, out now from Wendy Lamb Books. Caleb Franklin and his big brother, Bobby Gene, have the whole summer ahead of them to explore the woods behind their house in Sutton, Indiana. Caleb longs to venture beyond their small town, but their dad likes the family to stay close to home. Then Caleb and Bobby Gene meet new neighbor Styx Malone. Styx is sixteen, and he oozes cool. He promises Caleb and Bobby Gene a summer of adventures, but soon the brothers find themselves in over their heads. Styx has secrets—secrets so big they could ruin everything. In this madcap, heartwarming, one-thing-leads-to-another adventure, friendships are forged, loyalties are tested…and miracles just might be possible. Today, we welcome Kekla to the blog to answer some questions about her latest release. Welcome, Kekla! To start, what elements do you think make a great middle grade novel, and which of them did you put in The Season of Styx Malone? The key elements of a middle grade novel are a beginning, middle, and end! More precisely, an engaging beginning, a middle that makes sense and raises stakes, and a satisfying ending. Hopefully I managed to get all three, plus humor and heart, which make the story more enjoyable and memorable. Who’s more fun to write, villains or heroes? Or do you prefer a mixture of both? I don’t do a lot of villains. I did a few in my Robyn Hoodlum Adventures series, and that was fun. People say “the villain is the hero of his/her/their own story” for a reason. Once you start getting into the viewpoint of the antagonist, and see things from their perspective, it changes the story in good ways. A character who means well and is a good person, like Caleb’s dad in The Season of Styx Malone, can still be an unwitting antagonist, and I enjoy the complexity of that type of relationship. It feels much more real to me than a villain who is truly evil or simply up to no good. What’s your process for coming up with character names? I wing it. My viewpoint characters usually exist as “I” for a while until a name comes to me and I decide to stick with it. Some people put a lot of energy into naming, but I really don’t. It’s just whatever comes to me. Occasionally the name itself will spark the character, as was somewhat the case with Styx Malone. What’s the most memorable summer you had as a kid? Did those memories help when you were writing The Season of Styx Malone? My most memorable summer times were spent at the camp I went to for a week each summer from fourth grade through high school. In college, I volunteered as a counselor and later served on the summer staff. It was a dream come true to spend entire summers at camp! I still enjoy camping, hiking, canoeing, swimming, and all the fun activities I first experienced there. The camp is located in rural Indiana, where Styx Malone is set. The backyard bonfire that the boys enjoy with their family is perhaps a nod to this connection. What books would you recommend to someone who reads and loves The Season of Styx Malone? The next book of my own I’d share with them is Shadows of Sherwood, my Robin Hood retelling in which Robyn is a biracial teenage girl in a futuristic city. Some other books I like that my readers might also enjoy: Merci Suarez Changes Gears by Meg Medina, Ambassador by fellow VCFA faculty member Will Alexander, The Great Greene Heist and The Parker Inheritance by fellow VCFA alum and faculty member Varian Johnson, and Liar and Spy by Rebecca Stead. One memory I cherish was from my time as a graduate assistant, living in the dorms to guide and support the current students. I had several books published at that point, and I was sitting up late in my room talking with a student who had concerns about querying agents. When we were done, I opened the door and found several other students lined up in the hallway, also waiting to ask me questions about publishing. I’ll never forget that moment. I was touched that everyone was interested in my advice, sure, but mostly it struck me as amazing because I had come into the program ten years earlier knowing so little about writing, let alone publishing, and it showed me how far I had come. Becoming faculty a few years later was the next step on that journey. I’m honored to have a place among such wonderful colleagues, and to be able to give back to VCFA. Come in with an open mind, and be willing to try things that seem strange or different from what you think your writing process is or should be. One of the great gifts of the program is the opportunity to explore and experiment, so don’t be too fixated on completing any one project. Think of the work you do in the program as a workshop, in which you can practice skills that will be useful throughout your writing life. What do you wish you had known before you first set foot on the VCFA campus? Ha. I didn’t know much of anything before I came to VCFA. I don’t wish I knew more going into it, actually, because I think not knowing anything and being unsure of what to expect allowed me to absorb what was offered and really stretch myself. I had no idea that this program would change my entire life! It has brought me a career, the best friends I’ve ever had, and the chance to make a difference in the world in ways I never anticipated. Thank you, Kekla, for sharing your treasured VCFA memories, and for the wonderful writing advice! 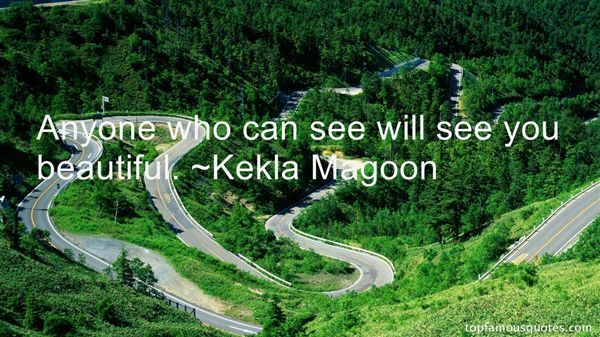 Readers, please visit Kekla at her website to find out about her other books for both children and young adults. 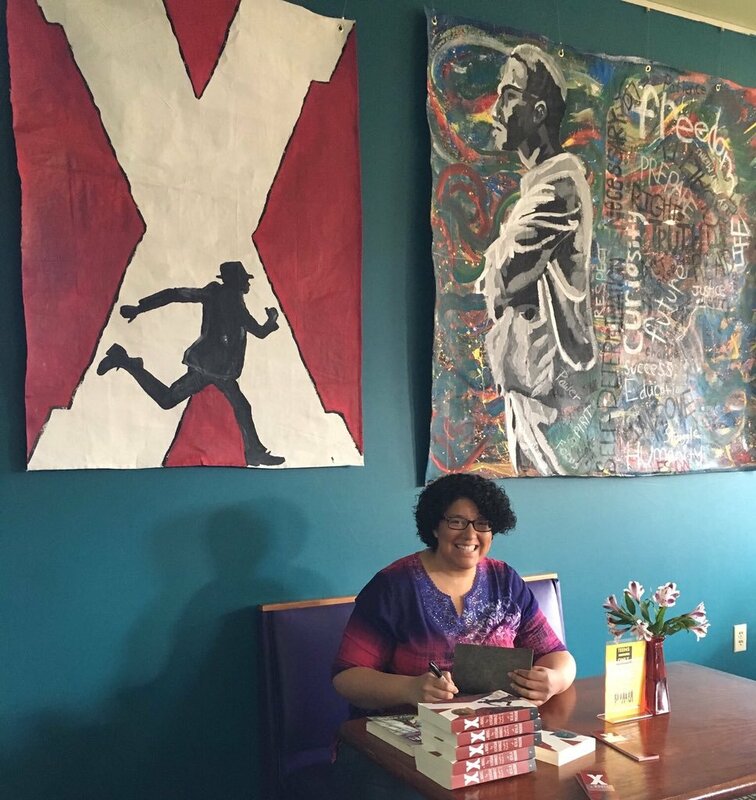 Kekla Magoon is the author of nine novels, including The Rock and the River, How It Went Down, X: A Novel (with Ilyasah Shabazz), and the Robyn Hoodlum Adventure series.